Allendale, NJ—As part of its internationalization and transformation strategy for further growth, Leica has restructured its retail division. Subdivided into the areas of Retail Store Data Management, Retail Design, PoS Marketing, Leica Store Management, and the Leica Akademie, the divisions will operate within a clear multichannel concept alongside Retail Store activities. To oversee the Retail divisions, Leica established the new position of Global Retail director, recruiting trade marketing and consumer electronics expert Frank Offermanns for this role. Offermanns, who assumed the position effective immediately, reports to Oliver Kaltner, a member of the board at Leica Camera AG and who is responsible for the areas of Marketing, Sales and Retail. Offermanns, 50, has years of in-depth expertise in trade marketing, PoS marketing, and store and partner management obtained during various executive functions in the imaging and consumer electronics industries. 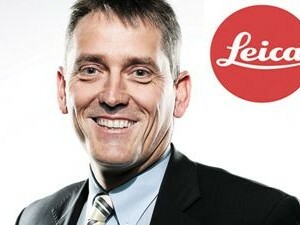 For the past seven years, he held the position of manager for Trade Marketing at Canon Deutschland GmbH. During his tenure there, he oversaw the successful realization and implementation of an integrated trade marketing concept and PoS measures and concepts for the Canon Academy. In addition, he also developed and launched a number of planning, monitoring and analytic tools for trade marketing activities. Prior to this, Offermanns occupied top positions in trade marketing and product management at Sony Deutschland GmbH and LG Electronic Deutschland GmbH.